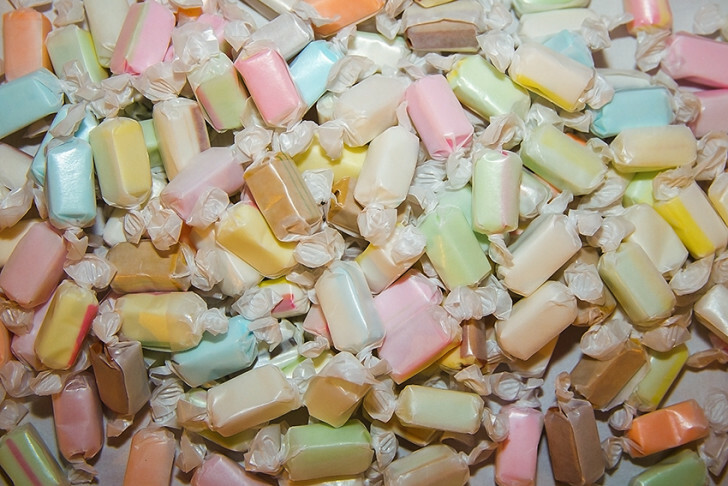 Our sugar free taffy is a wonderful alternative to our standard salt water taffy. Using the same flavoring as our regular taffy, many customers find it difficult to tell the difference between the two. Available in bulk assortments of vanilla, chocolate, strawberry, peppermint, anise, spearmint, orange, lime, and lemon. Ingredients: Our Sugar Free Salt Water Taffy is a special blend of the finest and purest ingredients: hydrogenated Starch hydrolysate, hydrogenated Vegetable Oil, lecithin, Chocolate, U.S. Certified Flavorings and Colorings Including FD&C yellow no. 5. May also contain evaporated milk.